Home Controversial DNA Food Health Humans Nature Science What Really Is The Future For Gene Patenting? What Really Is The Future For Gene Patenting? We take a look at how yesterday's Supreme Court ruling affects risk testing for breast cancer. Plus, this isn't the last word for gene patenting. The U.S. Supreme Court ruled yesterday on a landmark genetics case, involving the company that previously offered the only test in the world for two major genetic mutations that affect women's risk of getting hereditary breast cancer. The ruling found a middle ground, saying that Myriad Genetics, which is based in Utah, can't actually patent the naturally occurring genes BRCA1 and BRCA2. At the same time, Myriad can keep its patents on synthetic versions of the genes that it's created. What'll happen now? We've got a few answers below. Will this make genetic testing for breast cancer cheaper? Yes, it probably will. Before this ruling, Myriad Genetics said it had the exclusive right to offer testing for BRCA1 and BRCA2. Without insurance, the tests could cost more than $3,000. It's barely been 24 hours, and at least three companies and two university labs now say they'll offer genetic testing for breast cancer, the New York Times reported. Such competition should lower testing costs, perhaps dramatically. "Many academic labs, including our own, will soon be offering panel tests for dozens, or even hundreds of genes, for the same price Myriad historically charged for just two genes," Kenneth Offit, chief of the clinical genetics service at Memorial Sloan-Kettering Cancer Center, told the New York Times. Opening up testing to more companies was one of the major reasons Myriad Genetics' opponents had sued the company in the first place. One of the complainants in the case was a doctor who used to send his patients' DNA for testing to a University of Pennsylvania lab. The lab and the doctor both received letters from Myriad telling them they were infringing upon Myriad's patents. The lab stopped performing BRCA1 and BRCA2 testing. The doctor joined this lawsuit. How does the Supreme Court's ruling on synthetic genes affect breast cancer risk testing? While the Supreme Court ruled that naturally occurring genes aren't patentable, it nevertheless upheld Myriad Genetics' patents on synthetic versions of BRCA1 and BRCA2 that are chemically different from how they appear in human cells. This may make the development of competing tests more difficult, but not impossible. The Supreme Court decision describes synthetic BRCA1 and BRCA2 genes, made of something called cDNA, that have had the parts of their sequence removed that don't code for proteins. When I first read and posted about the decision yesterday, I didn't know for what Myriad used those synthetic genes. It turns out that they're part of Myriad's breast cancer gene test. Because they have had their non-protein-coding portions removed, you can think of them as "cleaned-up" versions of the genes. While genetic tests do often use cDNA instead of DNA, using naturally occurring DNA is becoming more common, Nature's News Blog reported. Will this stifle innovation in private companies? It's not clear yet what will happen in the biotech world. At this point, it's just he-said, she-said when it comes to predicting that future. Some lawyers the Washington Post talked with said the ruling helps companies by telling them exactly what they can expect to patent. The Biotechnology Industry Organization doesn't seem pleased, however, calling the decision "restrictive" and saying it threatens the U.S.' "global economic and scientific leadership in the life sciences." Myriad Genetics is not a part of the organization. What other gene patents are out there? The New York Times has a couple examples. Private companies hold patents on naturally occurring human genes related to spinal muscular atrophy and one inherited form of deafness, the Times reported. Like Myriad Genetics, those companies had the exclusive right to offer tests for those genes. They may not have that right anymore, depending on whether they hold other patents that would preclude a competing company from making its own forms of those tests. Companies, universities and others hold more than 4,000 U.S.-granted patents on genes, representing some 40 percent of human DNA, Reuters reported. But the new ruling won't affect all of them as profoundly as Myriad has been affected. 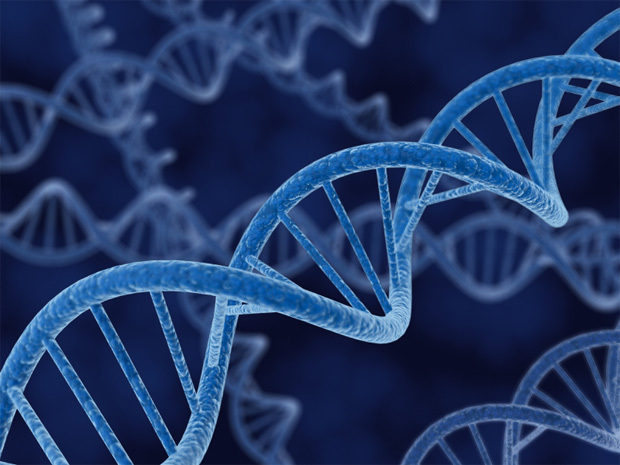 For one thing, many gene patents are close to expiring, anyway, the New York Times reported. In addition, many of those patents are actually for cDNA, Nature reported. The cDNA patents may or may not be protected under this new ruling. The court ruled that Myriad Genetics' BRCA1 and BRCA2 cDNA products are patentable, but some cDNA patents may be invalid if they're too obvious to others in the field, Justice Clarence Thomas wrote in the court's opinion. There's a lot of science here. Did the Supreme Court get everything right? Not quite. One major error was Thomas' definition of "cDNA" as "composite DNA" instead of the correct "complementary DNA." Thomas' decision also emphasizes cDNA as a human-made product, but viruses also make it. However, Thomas' description of cDNA is generally correct. It's a piece of DNA that only has the parts that code for a protein. It's made from the mRNA that human cells already make from regular DNA. It's called complementary because its code is "complementary" to the mRNA's sequence. You can think of mRNA as a photo and cDNA as its negative. Geneticist Ricki Lewis has more details on her blog about the science inaccuracies in the ruling. Unlike Lewis, however, I believe that if the ruling is generally scientifically correct, it's not particularly harmful if there are minor mistakes. Supreme Court justices must consider so much more than the science when making decisions like this and it's difficult to find people who have all the expertise they need. It's not ideal, but it's understandable if they get a few scientific details wrong. This is just about how President Barack Obama said he wanted the Supreme Court to rule, the New York Times reported. Is this the last word on gene patenting? Stanford University lawyers apparently don't think so. The human body doesn't naturally make cDNA like the synthetic BRCA1 and BRCA2 that Myriad makes—but viruses are able to make cDNA. The Supreme Court ruling addressed this by saying that it's a rare phenomenon. But how rare is rare enough? This issue may make its way to courts in the future, Stanford law fellow Jake Sherkow wrote in a blog post. In addition, cDNA may not hold up to patent challenges in the future because the methods for making cDNA are well known and commonly used, Mark Lemley, another Stanford lawyer, told Nature.